DAVID LE/Staff photo. 2/27/15. 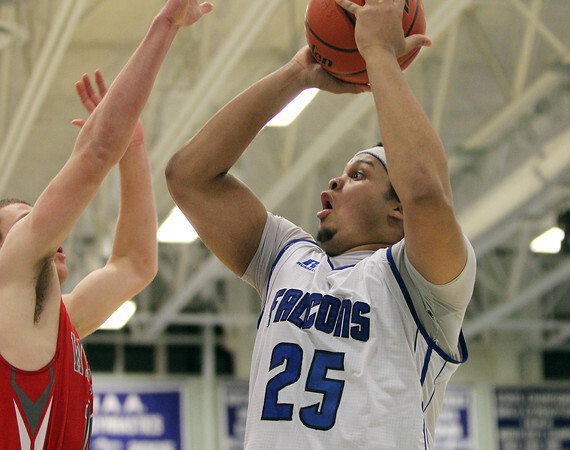 Danvers senior forward Devan Harris (25) drains a contested jumper along the baseline against Wakefield.